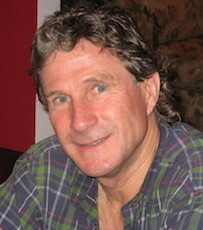 Tom Maxwell retired in 2010 after more than 20 years at UNE. He was made adjunct professor in 2011. Tom was initially a member of the Department of Curriculum Studies and then a member of the Education Contexts team. He was Head, School of Education from 2003-2006. He was also the Program Director for the Bhutan Project (2002-2008) and liaison person for UNE to Bhutan. This liaison role has been passed to Associate Professor Judy Miller in the School of Education. Since his retirement Tom's academic work is focused on international development and consultancy work and research. In 2008 Tom was awarded an Australian Teaching and Learning Award Citation which read: "For a decade of national and international leadership in innovative curriculum development and research in more professional, workplace-oriented teacher education." There are three sections: Education General, Teacher Education and Other. Title: A study of the nature of teaching and learning practices at Samtse College of Education (SCE), Bhutan. Title: Teaching at the sharp end of correctional education theory and legislation: How can the effectiveness and status of jail education programs be advanced? Title: A study of the development of transformational learning approaches in developing teachers. Title: Experienced secondary teachers learning: Integrating technology into distance delivery. Title: Experienced Teachers' Perceptions of the Influences on their Teaching: An Ethnographic Study. NB Many publications are available on Researchgate. Maxwell, T.W., Laird, D.J., Namgay, Reid, J.M., Laird, J. & Gyamtso, D. 2006/8. Focus on student learning outcomes: Report of the review of the bachelor of education (primary) in distance education mode in-service program to the Ministry of Education and the Royal University of Bhutan. Samtse: Royal University of Bhutan. Smyth, R. and Maxwell, T.W. 2008. The Research Matrix: An Approach to Supervision of Higher Degree Research, HERDSA Guide Series, Melbourne, HERDSA. Tashi, T. & Maxwell, T.W. (2015). The Developer: A Monarch who strived to modernize his kingdom. In T. Mathou & T. Tashi (eds) Life and Reign of the Bodhisattva-King: A tribute to His majesty the Fourth Druk Gyalpo Jigme Singye Wangchuck at the occasion of his 60th Anniversary (11th November 2015). Amarin Printing & Publishing PLC, Bangkok. Maxwell, T.W. & Smyth R. 2012. Answering your significant research questions with the aid of a research matrix. In C. Denholm & T.D. Evans, (eds). Doctorates Downunder: keys to successful doctoral study in Australia and New Zealand. Second Edition Melbourne, ACER Press, pp. 82-90. Maxwell, T.W. 2010. Ten years of capacity building of Bhutanese multi-grade teachers: Initial analysis of classroom action research reports and related data, in International Research in Teacher Education, W. Halloway & J. Maurer (eds) Armidale, Kardoorair Press, pp. 123-144. Tenzin, W. & Maxwell, T.W. 2009. Environmental Education in Bhutan: Status and Challenges, in Environmental Education in Context: An International Perspective of the Development and Implementation of Environmental Education and its Impact on Student Knowledge, Attitudes and Behaviour, N. Taylor, R.K. Coll and C. Eames (eds) Taipei, Taiwan, Sense Publishers, pp. 277-288. Maxwell, T.W. 2009. Being open to place. Interrogating Common Sense – Teaching for Social Justice, I. Soliman (ed) Frenchs Forrest, Pearson Education Australia. Pp. 175-194. ISBN 9781442507197. McConaghy, C., Maxwell, T.W. and Foskey, R. 2008. Place, Poverty and Student Outcomes: Identifying the New Socio-spatial Dynamics of Schooling Disadvantage in NSW. In Green, B. (ed) Spaces and Places - The Rural Teacher Education Project. Bathurst, UNE/CSU, pp. 183-221. McConaghy, C., Maxwell, T.W. and Foskey, R. with de Blaeij, M. 2008. Place, Gender and Student Outcomes: Implications for Pedagogy Reforms . In Green, B. (ed) Spaces and Places - The Rural Teacher Education Project, Bathurst, UNE/CSU, pp. 223-262. Tenzin, W. and Maxwell, T. W. 2008. Primary science curriculum in Bhutan: Teaching Environmental Science, in Science Education in Context: An International Perspective of the Influence of Context on Science Curriculum Development, Implementation and the Student-Experienced Curriculum, R. Coll and N. Taylor (eds), Taipei, Taiwan, Sense Publishers, pp. 313-332. Seden, K., Maxwell, T.W. & Rinchen, S. (2016). Enhancing Reflective Writing Skills of Pre-service B.Ed. Secondary Science Student Teachers: An action research study in Bhutan. Accepted for publication in International Journal of Education Teaching and Learning. Kucita, P. & Maxwell, T.W. (2016). Multi-grade teaching in Bhutan: Congruency between policies, teacher education and practices. Accepted for publication in Bhutan Journal of Education, Samtse. Maxwell, T.W. Mohamed, N., Mohamed, M., Zahir, A., Nasheeda, A. & Naseer, B. (2015). Becoming and being academic women in the Maldives: Cultural and other understandings. Cogent Education 2, 1, DOI:10.1080/2331186X.2015.1121062. Maxwell, T.W., Afroze, S., Haque, M., Sultana, F., Zabin,N. & Sanam,M. (2015). Experiences of becoming and being an Academic Woman in Bangladesh. Accepted for publication in Asia Pacific Journal of Education. Maxwell, T, W., Gyamtso, D. C., Seden, K., Wangmo, N., Lhamo, D., Tshechu, S., Choden, T., Tshomo, U., & Lhamo, N., (2014). Experiences in becoming and being academic women in Bhutan. Bhutan Journal of Research and Development 3(2), 13-26. Maxwell, T.W., Nget, S., Peou, L., Am, K. & You, S. (2014). Becoming and being academic women in Cambodia: Cultural and other understandings, Cogent Education. 2: 1.DOI: 10.1080/2331186X.2015.1042215. Maxwell, T.W., Boulidam, S., Onsy, S. & Osay, V.D. (2015) Becoming and being academic women in Lao PDR: Stoic but desiring change. Submitted to Bhutan Journal of Education, Samtse (October). Maxwell, T.W., Nguyen, H.T. Cao, T.H.P., Nguyen,T.X.P., Nguyen, L.H. & Nguyen, P.H. (2015). Becoming and being an academic woman in Vietnam. work in progress. Sherab, K., Maxwell, T.W. & Cooksey, R. (2015). Congruency and comparisons of the vision and mission statements across four case study schools. Bhutan Journal of Research and Development, 4, 1, 69-79. Sherab, K., Maxwell, T.W. & Cooksey, R. 2014. Implementation of Gross National Happiness Education in Bhutan: The case of an efficacious ‘Zhabdrung’ Primary School. Bhutan Journal of Research and Development 3, 1, 1-15. Thinley, D. & Maxwell, T.W. 2013. The role of English in culture preservation in Bhutan. Journal of Bhutan Studies 28, Summer, 1-29. Gyamtso, D. C. & Maxwell, T.W. 2013. Teaching, learning and planning practices in five colleges of RUB: A cross case analysis. Bhutan Journal of Research and Development 2,2, 31-42. Thinley, D. & Maxwell, T.W. 2013. Pedagogies for stimulating students’ responses to first language oral literature: An action research project in a secondary school in Bhutan. Journal of the International Society for Teacher Education 17, 2, 39-48. Maxwell, T.W. 2013. A model for reflection to be used in authentic assessment in teacher education. Journal of the International Society for Teacher Education 17, 1, 8-17. Sherab, K., Cooksey, R. & Maxwell, T.W. 2013. School collective efficacy beliefs for GNH Education: Scales, clusters and patterns of relationships. Journal of the International Society for Teacher Education 17, 1, 48-60. Kucita, P., Kivunja, C., Maxwell, T.W., & Kuyini, A.B., 2013. Bhutanese stakeholders’ perceptions about multi-grade teaching as a strategy for achieving quality universal primary education. International Journal of Educational Development 33, pp. 206-212. Kucita, P., Kuyini, A.B., Maxwell, T.W. & Kivunja, C. 2012. Factors influencing Bhutanese teachers’ Multigrade knowledge and teaching practices. Bhutan Journal of Research and Development 1, 2, 109-124. Maxwell, T.W. 2012. The impact of the Bhutanese Multigrade Attachment Program (BMAP). Bhutan Journal of Research and Development 1, 2, 161-170. Choeden, P. & Maxwell, T.W. 2012. Improving the Research Output of Academics at the Royal University of Bhutan: A Reconnaissance and early initiatives. Bhutan Journal of Research and Development 1, 2, 187-198. Maxwell, T.W. 2012. Academic work in an autonomous Royal University of Bhutan: Challenges and responsibilities regarding research, Bhutan Journal of Research and Development, 1, 1, 37-49. Maxwell, T.W., You, S., Ung, B., Peou, L. and Reid, J. 2012. Wider impact of a cattle/crop innovation in Cambodia, Agricultural Systems 107, 83-91. Maxwell, T.W. 2011. Australian Professional Doctorates: Mapping, distinctiveness, stress and prospects. Work based learning e-Journal 2, 1, 24-43 [http://wblearning-ejournal.com/currentIssue/E3011%20rtb.pdf]. Emerson, K. & Maxwell T.W. 2011. Graphic Organisers and Writing Performance: Improving undergraduate competence using action research in a workplace internship, Work based learning e-Journal 2, 1, 5-23. [http://wblearning-ejournal.com/currentIssue/E3012%20rtb.pdf]. Maxwell, T.W., Harrington, I. & Smith, H. 2010. Supporting Primary and Secondary Beginning Teachers Online: Key findings of the Education Alumni Support Project (EdASP), Australian Journal of Teacher Education 35, 1, 42-58. Mead, K. & Maxwell, T.W. 2010. Using the Counting On mathematics strategies: An action research case study. Australian Primary Mathematics Classroom 15, 3, 13-19. Maxwell, T.W., Rinchen, P. & Cooksey, R W. 2010. Evolutionary Trajectories in School Assessment Systems: The Case of Bhutan. Asia-Pacific Journal of Education 30, 3, 273–288. Maxwell, T.W. & Smyth, R. 2010. Research Supervision: The Research Management Matrix. Higher Education 59, 4, 407-422. Maxwell, T.W. 2009. Continuing Development of Teacher Education in Armidale: Professional/Academic tensions, Journal of the International Society for Teacher Educators 13, 1, 6-12. Jenkins, K., Smith, H. & Maxwell, T.W. 2009. Challenging experiences faced by beginning casual teachers: Here one day, gone the next! Asia-Pacific Journal of Teacher Education37, 1, 63-78. Maxwell, T.W. & Kupczyk-Romanczuk, G. 2009. Producing the Professional Doctorate: The portfolio as a legitimate alternative to the dissertation. Innovations in Education and Teaching International 46, 2, 135-145. Kennelly, J., Taylor, N, & Maxwell, TW 2008. Addressing the challenge of preparing Australian pre-service primary teachers in Environmental Education: An evaluation of a dedicated unit, Journal of Education for Sustainable Development 2, 2, 141-156. Kennelly, J., Taylor, N. & Maxwell, T. 2008. A student teacher’s personal pathway to Education for Sustainability. Australian Journal of Environmental Education 24, pp. 23-34. Thomas, P., Maxwell, T.W. & Cooksey, R. (2014). Co-creating innovation: a portfolio-based professional doctorate. Refereed paper presentation at the 17th Annual AVETRA international conference, Surfers Paradise, 22-24 April. Sherab, K., Maxwell, T.W. & Cooksey, R.C. 2013. Implementation of gross national happiness education: the case of an efficacious Zhabdrung Primary School. Refereed paper presented at the 33rd Annual International Society for Teacher Education Seminar, Hong Kong, May 21-25. Sherab, K., Cooksey, R. & Maxwell, T.W. 2012. School collective efficacy beliefs for GNH Education: Scales and clusters, Refereed paper presented at the 32nd Annual International Society for Teacher Education Seminar, Paro, Bhutan - May 21-25. Bossu, C., Smythe. R., Maxwell, T.W. & Stein, S. 2010. Analysing the development of higher and distance education policies in Brazil, Refereed paper, Higher Education Research and Development Society of Australasia, Melbourne, 6-9 July, 9p. Halloway, W. & Maxwell, T.W. 2009. Giving Continuing Professional Education more effective: Adding action research in Bhutan and Bhutan-related classroom practices in Australia to the Bhutanese Multi-grade Attachment Program (BMAP) – participants’ perspectives. Refereed paper in the Proceedings of the Conference entitled ‘Innovation for Equity in Rural Education’, First International Symposium For Innovation in Rural Education, Armidale, NSW Australia, 11-14th February, pp. 127-136. Kennelly, J. & Maxwell T.W. 2009. Education for Sustainability: Initial teacher education and the primary curriculum, in Faculty of the Professions Postgraduate Conference, University of New England, Armidale, Australia. Maxwell. T.W. 2014. REC Research policy, Procedures and Capacity Building. Report to the Royal Education Council, June. Thimphu. 39p. Maxwell, T.W., Reid, J.M, 2012. The Royal University of Bhutan Higher Degree Research Project: Stage 1. Prepared for the Office of the Vice Chancellor, Royal University of Bhutan, July, 24p. + 82p. Maxwell, T.W. 2009. Upper Secondary and Professional Teacher Development Project – Final Report. Prepared for PADECO, as part of the ADB funded project, Hanoi, 56pp +48pp appendices. Maxwell, T.W., Reid, J.M, Gyamtso, D. & Dorji, K. 2008. Changing the CULTure of Learning and Teaching at the Royal University of Bhutan: Report on the establishment of the Centre for University Teaching and Learning (CULT), Samtse College of Education, September, 68p. Maxwell 2012. Reflection, authentic assessment and action research in teacher education (for GNH). Keynote presentation for the International Society for Teacher Education, Paro, Bhutan, 23rd May, (power point presentation). Maxwell, T.W. 2011. The Professional Doctorate – Generational change? Keynote presentation, 2nd International Conference on Professional Doctorates, Edinburgh, Scotland, 20th April, (power point presentation). Maxwell, T.W. & Smyth, R. 2010. The research matrix: An Aid to Supervising Higher Degree Research Students, Invited presentation, IDERN, Kuala Lumpur, Malaysia, 21st April, (power point presentation). Maxwell, T.W. & Smyth, R. 2009. Using the research matrix to scaffold your project. Keynote, UNE Faculty of the Professions, UNE, Postgraduate Conference entitled Bridging the gap between ideas and research, 16th July, (power point presentation). Smyth, R. & Maxwell, T.W. 2008. Not Literature Reviews: Scaffolding the field using the research matrix. Keynote, UNE Faculty of the Professions, UNE, Postgraduate Conference entitled Bridging the gap between ideas and research, 15-18th July, (power point presentation). Maxwell, T.W. 2008. Professional Doctorates and the DBA in Australia: Retrospect and prospect, Keynote address at the conference entitled “DBA as a Community of Practice” BAM/ABS 2007 DBA Community Conference, Bradford, UK, 14th and 15th May (power point presentation). Maxwell, T.W. 2014. Research design and qualitative research. Royal Education Commission, Thimphu, 9-16th June (13 power point presentation). Maxwell, T.W. 2012. Supervising the RUB HDR Pathways: Paro College of Education, Paro, Bhutan, 11th July. Maxwell, T.W. & Reid, J. 2012. The RUB HDR Pathways: OVC, Thimphu, Bhutan, 9th July. Maxwell, T.W. 2012. Supervising the RUB HDR Pathways: CNR, Lobesa, Bhutan, 9th July. Maxwell, T.W. 2012. Supervising Research 1, Paro, Bhutan, 7th June. Maxwell, T.W. 2012. Supervising Research 2: Using the research matrix to scaffold research, Paro, Bhutan, 7th June. Maxwell, T.W. 2012. Supervising Research 3: Literatures Analysis, Paro, Bhutan, 7th June. Maxwell, T.W. & Reid, J.M. 2012 Vietnam Southern Cross University, Lismore (6 power point presentations). Maxwell, T.W. & Reid, J.M. 2011 Lao PDR Southern Cross University, Lismore (5 power point presentations). Maxwell, T.W. 2010. T&L Research – Application of Action Research: A way for improving teaching practice, Teaching and Learning Centre Seminar Series, UNE, 7th June (power point presentation). Maxwell. T.W. 2009, ‘Action Research in Teacher Education at the University of New England’. College of Education, Vietnam National University, Hanoi, Vietnam, 28th September. Maxwell. T.W. 2008, 'Action research: A way to improve’, Institute of Language and Cultural Studies, Semtoka, Bhutan, 29th August. Maxwell. T.W. 2008, ‘Learning and Teaching Professional Development’, Centre for University learning and Teaching, Lobesa, Bhutan, 25-27th August. Maxwell. T.W. 2008, 'Action research: Improving teaching and learning’, Centre for University learning and Teaching, Lobesa, Bhutan, 20-23rd August. Maxwell. T.W. 2008, 'Action research: A way to improve’, Samtse College of Education, Samtse, Bhutan, 16th August. Maxwell, T.W. 2014. Distance education: Ideas from the University of New England. Invited presentation, Maldives national University, Male, 23rd June, (power point presentation). Maxwell, T.W. 2014. University work: Teaching, learning and assessment. Invited presentation, Maldives national University, Male, 22nd June, (power point presentation). Maxwell, T.W. 2012. From research paradigm to research matrix: A journey worth taking, and then ..., Invited seminar, University of Fiji, Nandi, 3rd May (power point presentation). Maxwell, T.W. 2011. The passion of a professor. Invited seminar, Royal University of Bhutan, Paro College of Education, Paro, Bhutan, 20th August (power point presentation). Maxwell, T.W. 2011. The passion of a professor. Invited seminar, Royal University of Bhutan, Samtse College of Education, Samtse, Bhutan, 17th August (power point presentation). Undertaken in the following countries: Bhutan, Fiji, Pakistan (Afghanistan), Timor Leste, Vietnam (see publications). a) Name of assignment or project: Consultancy Service for developing Research Policy and Capacity Building for the Royal Education Council. Main project features: Draft research policy. Activities performed: Drafting research policy for the REC together with liaising with key staff in its development. Undertake associated capacity building of n=20 staff. Main project features: 16 senior academics from RUB shadowed UNE counterparts and based on their needs and what they learned developed projects tom implement upon return. Activities performed: Obtained grant. Led all liaison activities for shadowing and inputs. Led sessions on action plans for Fellows upon return. Three weeks intensive work plus follow up in Bhutan early Septermber. Activities performed: Over two months, assessed the current status of higher degree research in the Royal University of Bhutan, drafted policies, procedures and standards for higher degree research (Master’s and PhD) in RUB, developed a draft Handbook for Higher Degree Research in RUB; and recommend strategic actions for implementing the policies. Main project features: Capacity building in teacher education as part of the Australian Leadership Award Fellowship program. Activities performed: Conceptualising the capacity building, budgeting and liaising with four universities in Bhutan, East Timor, PNG and Vietnam. Liaised with consultants, taught action learning component and supported action learning upon Fellows return. Main project features: Policy, governance and budget identification and short and long terms plans to establish CULT. Activities performed: Established policy framework including mechanisms for accreditation of capacity building to formal awards. Negotiated governance and budget framework and co-ordinated review of library infra-structure and practices to support CULT. Completed three capacity building workshops. Responsibility for project completion, presented and submitted Final Report. Activities performed: Re-conceptualised the ToR and the roles of the four consultants. Undertook negotiations for the contract. Liaised with senior RUB officials and team members. Liaised with initial team leader during its first two months on situational analysis and program review and reporting of findings. Became team leader in second two months. Took responsibility for project completion including plans for capacity building, materials development, award re-structure and liaison on Final Report. Activities performed: Conceptualizing the capacity building, budgeting and liaising with the Royal Institute of management and the Royal Civil Service Commission. Liaised with consultants and UNE officials. Trouble shooting in Bhutan to get the project re-aligned. Activities performed: Lead and direct the entire development of the project including its conceptualization, budgeting and implementation. Liaison with Bhutan and with UNE colleagues. Over 140 teachers and others were trained. Activities performed: Work under the direction of the largely Australia-based Project Director but lead in country project. Worked with in country counterparts to gather data and analyse those data and present a report into the state of in-service in Bhutan. Co-wrote report that was subsequently published and uses as the basis for development of in-service education of teachers in Bhutan. Main project features: Capacity building of leaders (N=35) in teacher education. Activities performed: Designed specific program, led presentation and generally managed the three weeks of learning including research methods and supporting the development of a project upon return to Vietnam. Main project features: Capacity building of leaders (N=20) in teacher education. Main project features: Capacity building of leaders (N=12) of one university in Lao PDR. Activities performed: Designed specific program, led presentation and generally managed the two weeks of learning including building knowledge of action learning to use as the basis of a report upon their return to Ventiane. d) Name of assignment or project: Improved feeding systems for more efficient beef cattle production in Cambodia - Children and fodder cut and carry. Activities performed: Lead a team of five including two graduate and one undergraduate Royal University of Agriculture students as research assistants. Designed the research study, trained the research assistants, guided the data analysis and led the researchers in writing a published journal article based upon this work. Activities performed: Research partnership alternatives and used experience to develop strategies for Vietnamese universities to develop partnerships with universities of the world. Research included visits and interviews with six institutional leaders in Colleges of Education in N Vietnam. Activities performed: Identifying quality data from varied sources inside Afghanistan. Collation of data. Site visits to Afghanistan. Liaison with UN officers in Islamabad. Development of a report and presentation of main findings to UN office. Activities performed: and liaising with Universidad Nacional Tior Lorosa’e (UNTL) officers for UNOCEF to create baseline data from studies in basic subjects. Required liaison with NSW Department of Education and Training in the use of their Basic Skills Tests. Positions held: Australian counterpart leader. Activities performed: Led project application. Action research presenter in Zambia and Uganda (2009). Led small team in Zambia in 2011 to deliver a multi-grade manual co-written by me.